We’ve seen in earlier posts what genealogical proofs look like in a narrative and a footnote. A list, bulleted or numbered, is another effective way of presenting the proof that supports a conclusion.  Proofs in list format are clean, concise, and easy to follow. All the data is assembled in one place, and the correlation is obvious. Here’s one by Harold Henderson, CG, that appears as part of an article. The list correlates data from a number of sources to show that Elizabeth Porter of the Midwest was the same person as Elizabeth Bassett from a New York family record. Once Harold establishes Elizabeth’s identity, he continues his argument for her being the daughter of a man whose probate petition didn’t include her, but by law should have. Each bullet point describes evidence of relationships between Elizabeth and her siblings (all named in a family Bible record) and between her children and extended family. Note 1, mentioned in footnote 7, below, refers to the Lewis Bassett family record as found in his wife’s Revolutionary War widow’s pension file. The evidence is all direct. There are no conflicts. We can accept that Elizabeth of two different places was the same woman. For another example of a list-style proof that incorporates explanatory narrative, see Thomas W. Jones, Mastering Genealogical Proof (Arlington, Va.: National Genealogical Society, 2013), 61. The same list was first published in Thomas W. Jones, “Misleading Records Debunked: The Surprising Case of George Wellington Edison Jr.,” National Genealogical Society Quarterly 100 (June 2012): 141–42. Genealogy Standards (Nashville, Tenn.: Ancestry.com, 2014), 32–33. 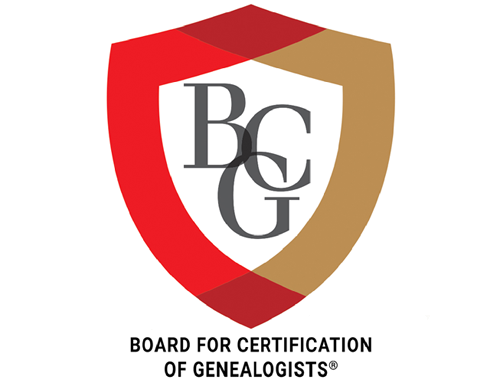 CG or Certified Genealogist is a service mark of the Board for Certification of Genealogists, used under license by Board-certified genealogists after periodic competency evaluation, and the board name is registered in the US Patent & Trademark Office.